« If a Politician Tells the Truth, Can He Still Run for Office? My best friend and I have discussed many political candidates in our twenty-eight years of friendship. I’m not sure whether she made this up herself or whether she read it somewhere, but she ascribes an attitude to each one – the message they send us subliminally, by their attitude and mannerisms. George W. Bush, for instance, was, “Don’t worry, everything’s fine.” People related to this, because we don’t want to run the country ourselves. That’s why we elect someone else to do it. By 2008, with the economy finding new depths to which it could sink, America got tired of the mantra. Like the lightweight boyfriend many of us had at some point, he wanted nothing but a good time, and he didn’t listen. As one, we turned to Barack Obama, Mr. “I hear you.” Here in 2012, we’ve added Mitt “I know how to deal with this” Romney. This interests me because, while each message beams positivity and has helped its speaker, they aren’t interchangeable. “I hear you” works for Mr. Obama. “I know how to deal with this” wouldn’t. The first uses his low-key nature to his benefit. He’s calm because he’s really listening. The second would make him seem remote. He knows how to deal with this because his Vulcan heritage gives him superior powers of logic. I mentioned this to a friend whose husband is a pastor, and she noted that each minister has a central theme, too. They may preach about a variety of topics, but for one, everything comes back to faith. For her husband, it’s prophecy. Try as he might to steer away from it, prophecy will always feature in the sermon somewhere. All of this made me wonder, what sentence would people ascribe to me? When I got older and went to acting school, I still pondered it. Teachers drilled into my head that I had to know my “type.” No, not tall guys with good cheekbones – my type of role. Yes, I wanted to expand my horizons and work on my craft, but there would always be a certain type of part that came naturally to me. What did my look and mannerisms say to casting directors, no matter what I said? According to the roles I’ve been cast in, my look says one of three things: Understudy, Chorus, or Woman Who’s a Little Uptight. Now in my writing, I still need the low-down. What does my writing say to people, regardless of the subject? This time, it comes posed as, “What famous author do you write like?” I am always tempted to say, “No one. 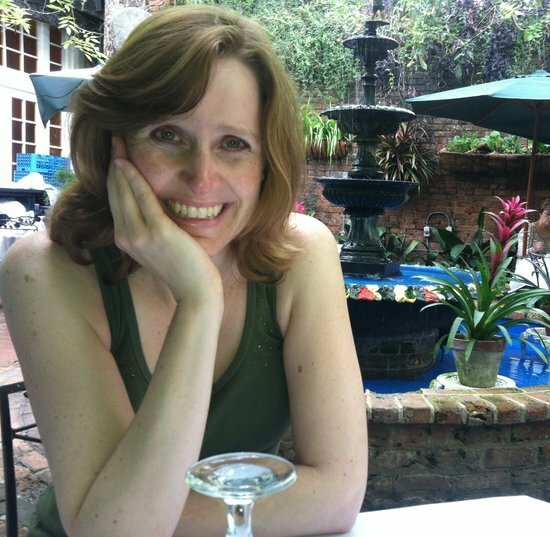 If someone else could write what’s in my head, I wouldn’t bother.” However, a snarky comeback does not endear you to publishing houses or literary agents. 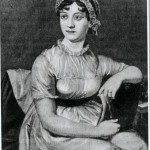 So far, I like to say my writing is a cross between Jane Austen and Erma Bombeck. All of this speculation, however, does not really answer the question: What message do people hear when they interact with me? Why is it that some guys can’t run away fast enough when they see me coming? Why do some people that I didn’t know very well years ago still remember me with crystal clarity? Why does my writing and my singing and my acting affect some people deeply and leave others completely untouched? 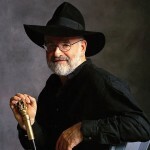 That’s SIR Terry Pratchett, thank you very much. …He thinks that everyone’s really decent underneath and would get along just fine if only they made the effort, and he believes that so strongly it burns like a flame which is bigger than he is. He’s got a dream and we’re all part of it, so that it shapes the world around him. And the weird thing is that no one wants to disappoint him. It’d be like kicking the biggest puppy in the universe. If he’d said “she” instead of “he,” I would have thought he was talking about me. No, I don’t see myself as any kind of great visionary. But I think the message that people get from me is, “I look for the good in you.” Some people like this. Others find it unnerving. To a specific few, who were convinced long before I arrived on the scene that there was no good in them to see, it’s mocking: I look for the good in you, and oh, hey, it’s not there. To others, judgmental: I look for the good in you, so you’d better find some to show me. I don’t intend to say either of these things. Frequently, I don’t intend to say anything at all. But somehow I do. We all do. What do I say to people? I’m still not entirely sure. (Leave a comment and let me know your take!) But I know for certain that I have to keep writing and singing and maybe even acting, because whatever it is that I say, the point is, only I can say it. I am, after all, the only me who was invited to the party. Oh, and since I’m surrounded by all these other people personally handcrafted by God, maybe I should listen a little harder for what they are programmed to say to me. My best friend, for instance, says, “I want to help you.” That’s probably why, after twenty-eight years, she is still my friend. 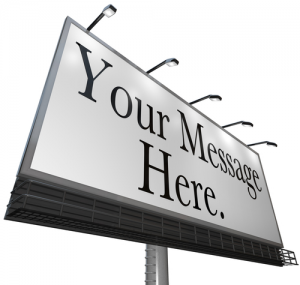 What is your message? Not the one that will get you elected, but the one that shapes you? I think, when we get in touch with the song of our own souls, we can see a little more clearly that we are covered in God’s fingerprints, and that everyone else is, too. Chances are, you’ve been touched by a message, your own or someone else’s. If you’re feeling brave, please share. I’d love to hear about it. Meantime, I’ll let Steven Curtis Chapman remind you about those Fingerprints of God that are all over you. Thankfully, they don’t wear off. 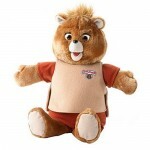 Kimberly may be dating herself by admitting that she remembers Teddy Ruxpin bears. I always seem to be the first to respond to your writings. I find them insightful and inspirational. I write a weekly blog for our 100 members that not only discusses what we’re doing, but also how we treat each other and how we deserve to be treated well. I think what comes from you, if put into a couple of sentences, would be something like this: Kimberly is fully awake, seeks the good in everyone, writes with diplomacy and an open mind. She is full of questions and seeks answers (such as “What does my writing say about me?”) but is content when there are no tangible answers. She is persistent, yet restrained. She is seeking what is good, fair, and is very optimistic that the craziness of human beings will one day be obliterated. In that regard, she is dead-wrong and knows it, but it doesn’t stop her from hoping. To me you’re Kim “I’ve got your back” Emerson, well, that, a zillion other lovely things, but that is the essence. The truest friend one could ask for. Thank you, Erika “I want to make the world a better place” Schmitz. Thank you, my friend! Your cheers move us all to greater things. Took me awhile to get around to this one, but I’m glad I did…as always. First let me say that I want to meet Kevin. I love what he said. For me, you remind me how important reflection is…and to be kind to oneself…which I think is easier for both of us to say than do, but maybe I only speak for myself. I think you also remind me how important it is to set goals and have dreams. We are all so blessed to have your thoughts in print each week, Kim. Love you!